traditionally the first blog post each month is a nail inspiration post and this one greets the return of the nail calendar. I just got the latest edition of Nail Up! 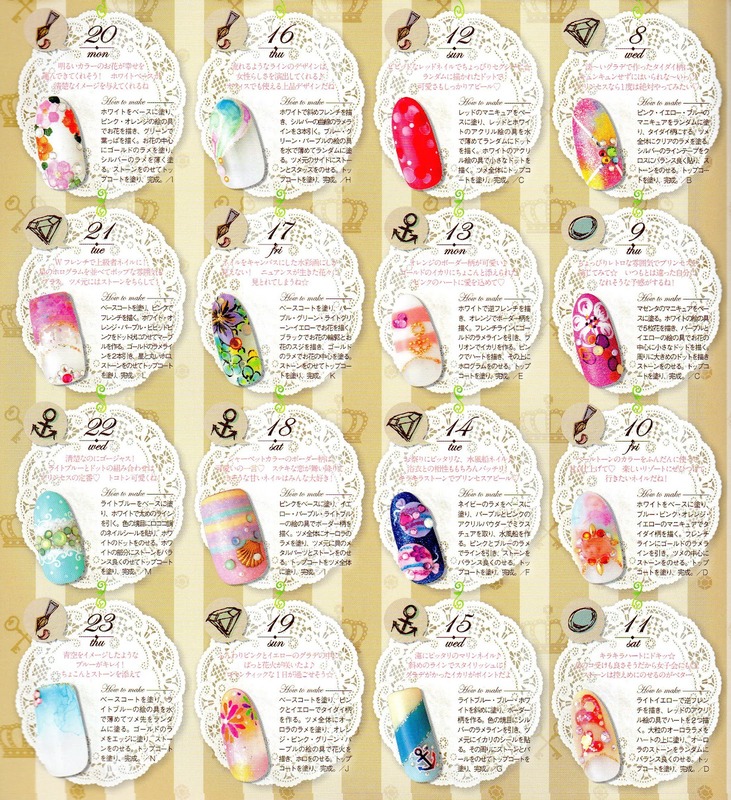 and was pleasantly surprised to see a summer nail calendar for the months July, August and September, while browsing the pages. 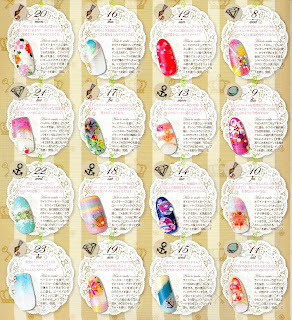 So here is the August nail calendar, full of inspiring nail designs. The theme is Princess summer nails. 2, 27, and 20 are my absolute favorites! 22 has to be my absolute favorite! I am really liking the Yellow in the first pick (first row on the right). Ah so nice and not to loud!